Take a tiny space, formerly occupied by a failed “continental” restaurant, add an outdoor patio and some nice furnishings, spice it up with a wine bar, mix in some high falutin’ Thai food, and whaddya got? Nittaya’s Secret Kitchen. Open just a couple of weeks, Nittaya’s might be the best new restaurant to open in Summerlin since Nora’s started pouring wine. For our first meal, we stuck to basics — todd munn (whitefish cakes), stuffed chicken wings, new coconut fish curry and a simple beef/green bean stir fry, and were most impressed by the snap of flavors, and freshness of everything tried. Those fish cakes are a litmus test for any Thai restaurant. They usually range from slightly spongy to the consistency of an extremely over-done hamburger. These were small, soft, pillows of non-greasy fish cake — delicious and addictive. Likewise the angel wings — stuffed chicken wings — were fried to a crispy fare-thee-well in fresh, hot oil, and were just what fried food aspires to: crunchy giving way to moist savoriness. Every dish followed this pattern of being the best of its type we’ve had in quite awhile. The “World Famous Spinach Salad” consisted of lightly battered spinach leaves (again fried perfectly), surrounding a bowl of minced chicken larb for them to be dipped in. Another addictive hit. As was the rich, fresh coconut curry — a whole roasted coconut containing a thick, seafood stew, and the simple beef and bean spicy stir fry — again, nothing fancy but all of it done perfectly — with a brightness of flavor you won’t find in the numerous by-the-numbers Thai restaurants around town. Many thanks to uber-foodie-and-pointless-wines-guy Evan Powell for giving us the heads up on this potential jewel in our Thai restaurant crown. If Evan keeps suggesting such tasty finds to ELV, sometime in the future, we might just let him cavort with our staff. Our meal for two with no booze came to $68. Thanks for a heads up on a joint in my neck of the woods! We’ll check it out soon and report back. I could not agree more with everything you said. The best thing for me, is that, it is located on my side of town. Nittaya is so beautiful and graceful also. I hope I’ll be able to get a table in the future now that the word is out. Oh, one more thing, I have named it Nouveau Thai. Love this place!!! I thought it was pretty good. The ‘spinach salad’ was great but the thai bouillabaise was muddled in color and had just one piece of fish. They also used New Zealand greenlip mussels that come frozen, which I hate. The tofu was great. We thought Jasmine Thai Gourmet was the best and most charming Thai restaurant in town until we visited Nittaya’s Secret Kitchen. The food, the location, the atmosphere and the owner herself are exactly what Summerlin diners need. Her handpicked staff are gracious, proficient and always smiling. This restaurant is not a secret any longer! Nittaya’s is worth the drive from Henderson. Heck, it’s worth the drive from anywhere. The overall vibe is so peaceful (yet fun) that it’s difficult to leave! I’ve had the pleasure of eating Thai food all over this country as well as in Thailand. Nittaya takes a back seat to nobody. I’m a curry freak and any one you pick, red, green or yellow is just smokin’ fantastic. I’ve eaten at Nittaya’s other restaurants going on 9 years now and I’ve never been disappointed. I don’t even bother to go to any other Thai restaurants anymore. On top of all that she has one of the best smiles in the city. Nittaya’s Secret Kitchen is the new cool place in town, great vibe, and worth the drive from wherever you may live around the city. Just had dinner there tonight. Oh My God! It’s divine. Everything we tasted was wonderful and service was outstanding. Go, go, GO!! I can’t stop raving about it. I have been there 3 times since they opened the restaurant and it seems to get busier everytime I go in. The 2 owners treat me like a king when Im there and the rest of the staff always rembers my name (a Plus in my book). 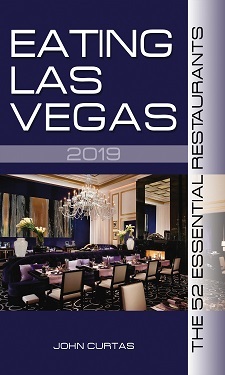 The combination of nittaya’s cooking and Joel’s creativity make it one of the neatest places in vegas to dine. My only fear is getting a table as they keep getting busier.